Late last week my boyfriend and I heard about a dog at a local shelter that needed help. NOW. He was difficult to assess, as often they can be at loud & busy shelters, but he passed and needed an immediate foster home. Ryan and I just saw our previous foster, Robyn, get adopted and move into her new home the weekend before, so we were planning to take a break. It was incredibly clear that sometimes, with life, you can't take a break. A break would have possibly meant that Tanner wouldn't be here today. So he arrived last Thursday and I cannot stop gushing about what a great dog he is. He's slowly integrating with my other dogs. Shamar has been loose with him in the house for the past few days in little spurts. Jorja and Pete may meet him next week. Tanner is good with dogs, my dogs can be a bit jerky with strange dogs so we take it slow. 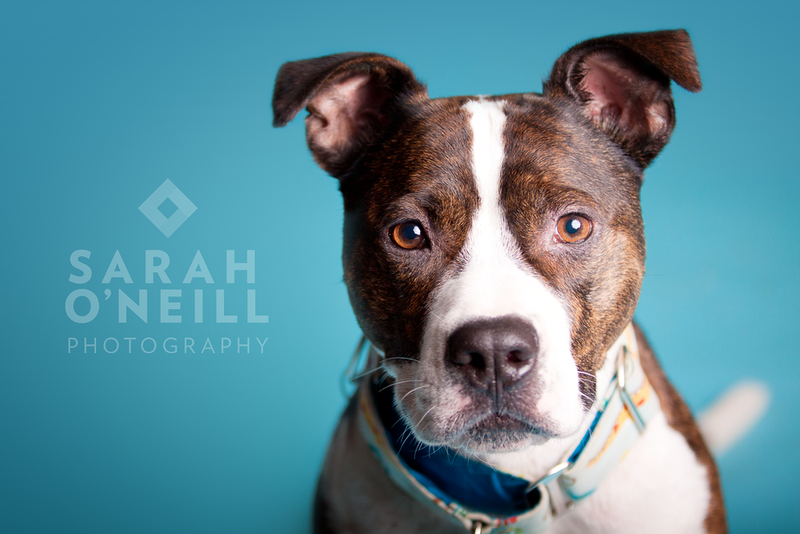 Tanner is a 4 year old American Pit Bull Terrier. Single bred and stunning. He is neutered and very friendly. He is good with dogs, good with strangers, good with kids and seems ok with cats. On our walks in the neighbourhood he shows little interest in any squirrels or cats in driveways. He knows basic commands, walks great on leash and doesn't protest wearing a muzzle out in public (due to law, not personality). He is a great companion for car rides and makes great company. He was listed on his intake papers that he has separation anxiety. We haven't noticed anything of concern with him. He goes in and out of his crate, eats in his crate and will go in on command. He does whine once he's in his crate, this usually lasts only a few minutes. He does protest more when I can hear him in the morning when I'm leaving for work so this is something we are working on. We genuinely feel this issue is really not much of an issue and he just needs some rehabilitation with crate training, with positive experiences and consistency. Yesterday we decided last minute to go to the Beaconsfield Pet Fair on the west island of Montreal with Sit With Me Shelter Dog Rescue. He did very well meeting many people and dogs .. even in the pouring rain. Tanner will be available for adoption through Sit With Me. I'm confident this great dog won't last long and because he's such a great dog, deserves a great home outside of Ontario.